The Internet Protocol (IP) is the principal communications protocol in the Internet protocol suite for relaying datagrams across network boundaries, organized in abstraction layers, traditionally called "Link," "Internet," "Transport" and "Application”. Its routing function enables internetworking, and essentially establishes the Internet. IP defines packet structures that encapsulate the data to be delivered. It also defines addressing methods that are used to label the datagram with source and destination information. 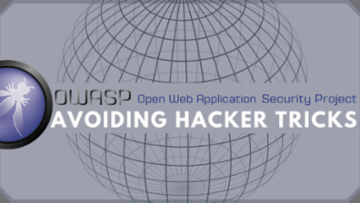 Learn to build secure applications from the mindset of the hacker and avoid being exploited.